Driftwood Fishing Charters Aruba was started 25 years ago by the owner Captain Herby who had the love and passion for fishing in Aruba. He is an inspiration to his son Herbert JR. as he shares the same passion for sport fishing and this drives him to own the best Aruba Fishing Charters on the island. 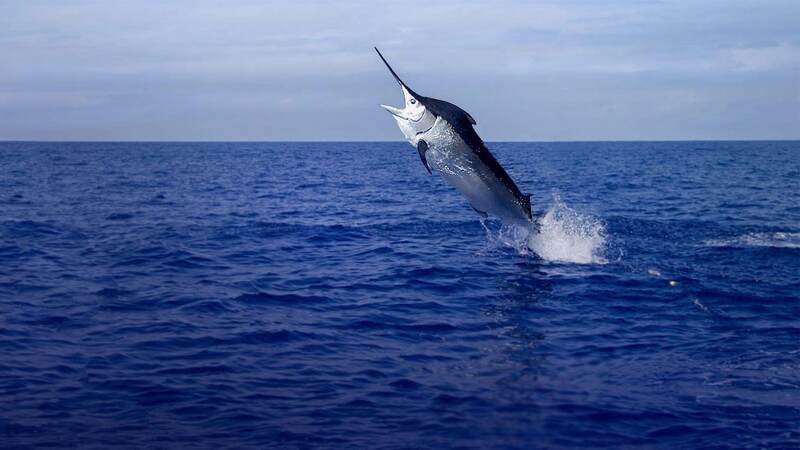 Our company believes in providing great deep-sea fishing in Aruba experiences whether it is all by yourself relaxing, having fun for an ideal outdoor pursuit or with a family on a vacation for an ultimate bonding experience. So, get on board for the unique adventures as fishing in Aruba will take you on a thrill ride along-with the efficient, dedicated and friendly staff. 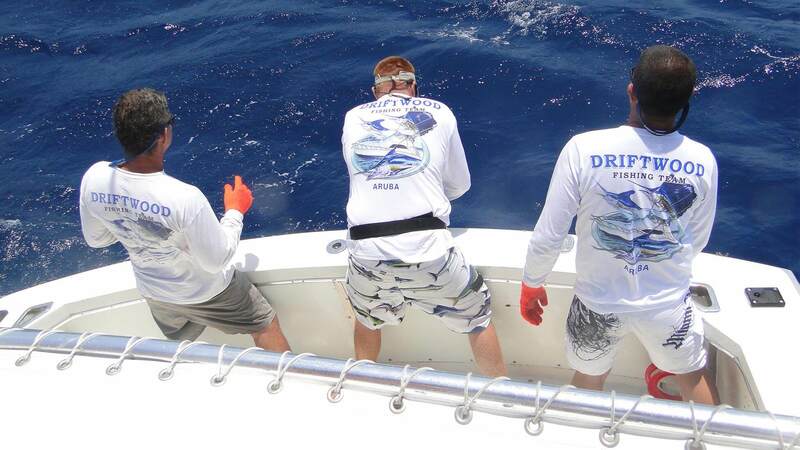 Our company is one of the best Aruba deep sea fishing charters which cater to the needs of the customers by providing them with an enriching experience. We also welcome you to our refined and comfortable Seafood Restaurant in Aruba to bring the best dining experience ever! Includes: Captain, mate, all fishing equipment, bait, sodas and bottled water. Departure from Renaissance Marina, Downtown Oranjestad, 2nd boat on the right to the Seaport Casino. Captain, mate, all fishing equipment, bait, sodas, bottled water and sandwiches. If you are looking for private fishing charters in Aruba with a customized experience kindly contact us with your details. 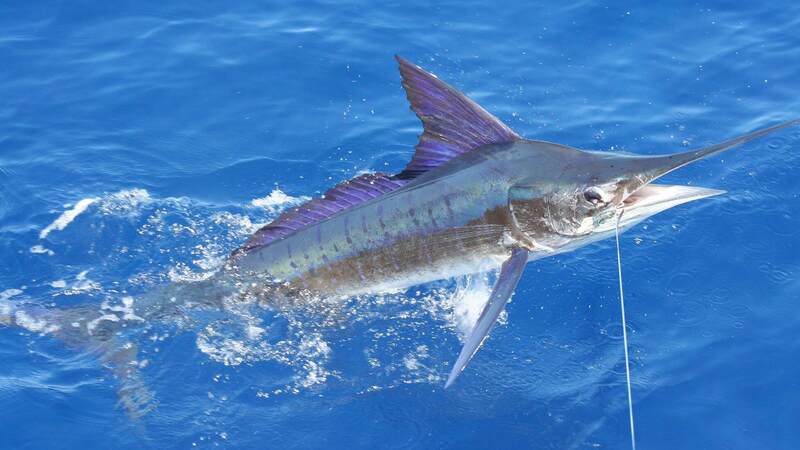 We guarantee to use the best bait on board with a memorable experience at Aruba deep sea fishing charters. We also have the best deep sea fishing Aruba navigation equipment. 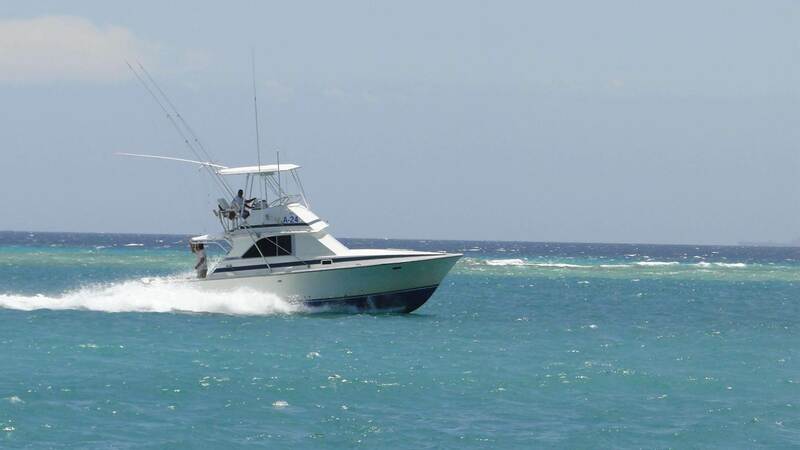 A comfortable ride for you at deep sea fishing charters in Aruba which includes the best features of the boat. You can surprise your loved ones by sending us a request for Gift Certificates from here. To enhance your taste buds especially for the seafood lovers you can visit Driftwood Aruba Seafood Restaurant for the perfect evening surrounded by the lovely ambiance where we offer personalized services by cooking your catch of the day from the Caribbean Sea to make your dining experience a memorable one. The variety of the fish is vast and Atlantic game fish are abundant. You can also try your luck in best offshore deep sea fishing in Aruba from a wide variety of fishes namely Sailfish, Blue Marlin, Barracuda, Tuna, Wahoo, King Fish, Sharks, Amberjack, Bonito and Black & Yellow Fin Tuna to Marlins at fresh fish restaurant in Aruba, as your fresh catch will be prepared in five different ways served with the perfect accompaniments which include white rice, baked potato, vegetables, funchi (corn-meal), pan Bati (local cornbread) and fried plantains, savour the exquisite dishes and enjoy your evening. We have got an excellent number of reviews on TripAdvisor for being the best fishing charters in Aruba. So, visit Driftwood Fishing Charters Aruba for an unforgettable experience where we strive to meet and exceed the expectations of our guests! Check our Early Season Amazing Deals.